After clearing over $160 million in revenue in less than a month, Pokémon Go is on the tip of everyone’s collective tongues these days. And “everyone,” now includes Apple’s virtual assistant, Siri. 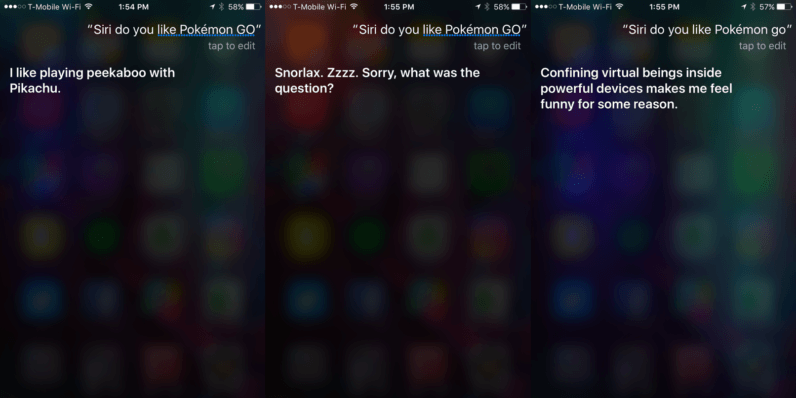 Again, Siri doesn’t respond to these queries every time; sometimes she just opens Pokémon Go and ignores you completely. There’s a metaphor about life in 2016 somewhere in there.